H&H Shooting Sports Complex is proud to announce that we now have over 18 sku’s of the M1A in stock, including the M1A Standard, M1A Scout, and M1A SOCOM. The Springfield Standard M1A is a semi-automatic rifle chambered in 7.62 NATO or .308 Win. The M1A is the civilian version of the famous M14, which was once a standard issue US military rifle. It was also known to be very accurate and reliable. The M1A is a series of eight models and the Standard is, of course, the standard model. Like the M14, the M1A is gas-operated, so propellant gases are captured by a tube near the muzzle, the tube connects with the bolt where a valve on the bolt catches the gas, and then gas pushes the bolt back so it can eject a spent casing and chamber a fresh round. What makes the M1A different from the M14 is it lacks features that aren’t quite necessary for civilian shooting like a bayonet stud and full-auto option. Features include a two-stage military trigger that sets off the action with a 5- to 6-pound pull. It has military sights that are adjustable for windage and elevation. And, the Standard is available with a traditional walnut stock or a synthetic stock. 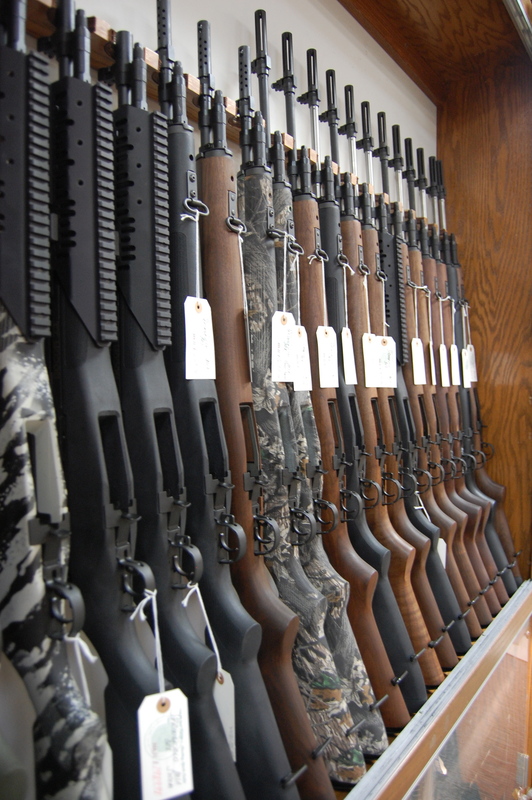 The synthetic stock comes in two finishes: mossy oak or matte black. Springfield recommends the M1A for precision shooting.